I have nothing against large companies providing free didactic materials like videos and images to support education. 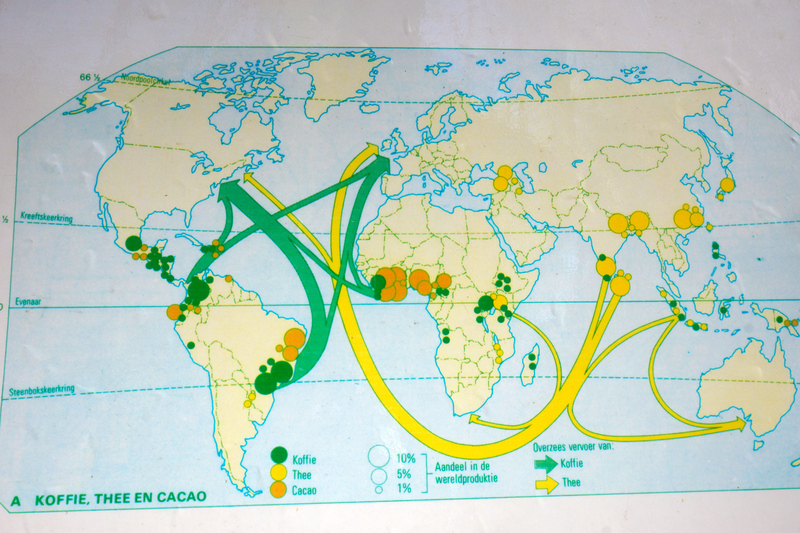 But the below Sankey diagram samples from the image bank of a large multinational company are a fail! Mr. Palmer, a UK physics tutor, has many of his physics lectures for General Certificate of Secondary Education (GCSE) online, with notes and illustrations. You can find topics such as “motion”, “heat”, “nuclear radiation”, and even “the origins of the universe”. Very infomative, and well illustrated, even if you are not a high school student. 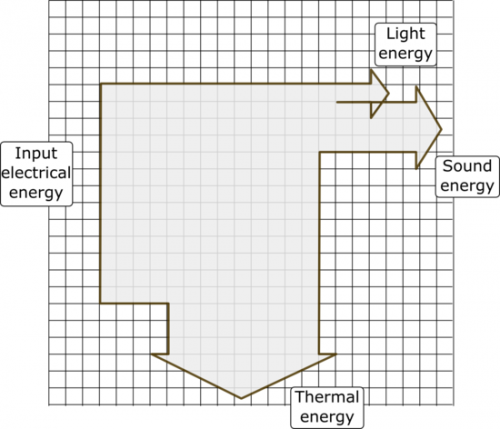 To attract student’s interest and make them understand efficiency in the “electricity” topic, he asks them to draw a Sankey diagram for their iPod. The three Sankey diagram examples Mr. Palmer shows in his notes use the simple but effective grid paper approach that I have shown in this post. And of course there are several hints, that help to really reduce energy consumption and make your iPod more energy efficient, such as dimming the display and avoiding to do a skip search on titles. 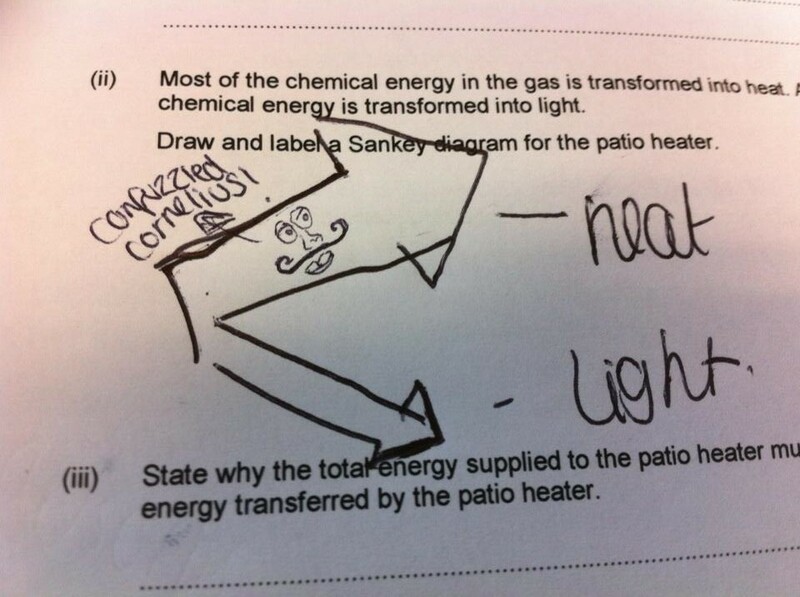 Browsing for more Sankey diagram goodies the other day I was delighted to find the following sketch in a brochure ‘Let’s learn about energy: a practical handbook for teachers’ published by the TACIS technical dissemination project. 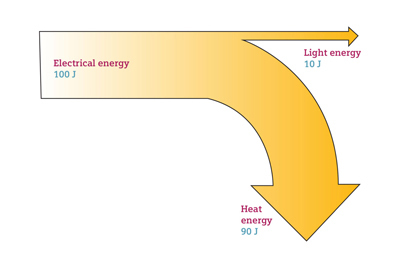 Get students to draw up Sankey diagram (Figure 3) showing the energy flows through a process or activity. Consider a power station, house or car. The width of the arrows represents the amount of energy. 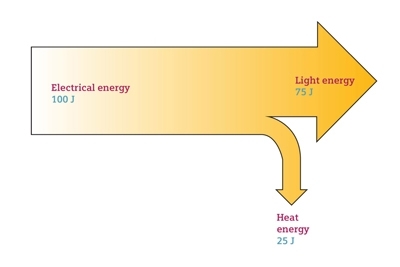 Energy inputs (fuels, electricity) usually flow into the process from the left and useful energy outputs (heating lighting mechanical power, chemical energy) and losses (heat, noise etc.) flow out to the right. 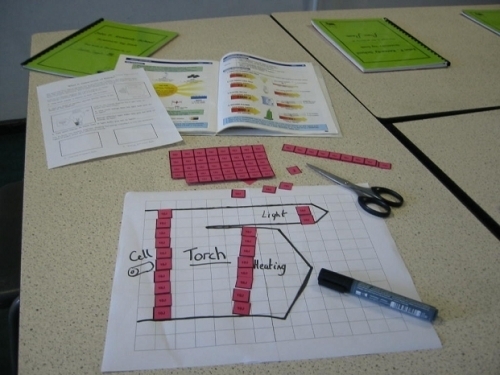 The website of Nottingham City Schools offers a variety of materials that can be used by teachers in their courses. One of the key areas in the science field is ‘energy’. 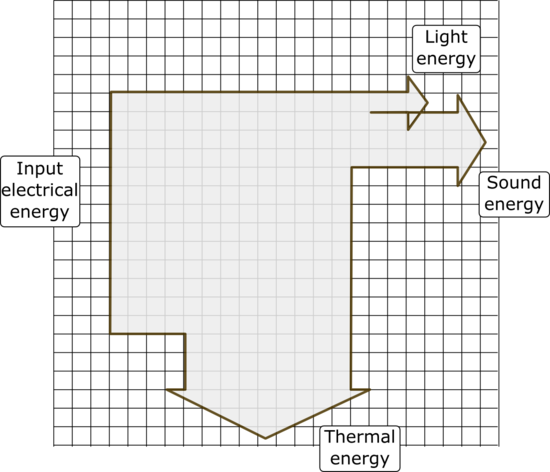 The site has a demonstration of how Sankey diagrams may be used to represent transfer of energy, including a PowerPoint and “stories”, for which pupils can create a Sankey diagram by using tokens cut from cardboard. I think this is a great idea, as it supports the understanding of the energy topic with a haptic and, very importantly, a visual approach.